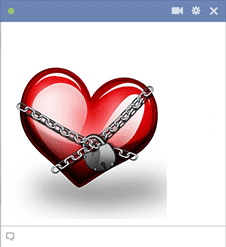 If your heart is under lock―and in someone's sweet possession, you can post this heart on Facebook to let everyone know. Our images are designed to be eye-catching. Each one can help you express something you're feeling or thinking about. They're free and super easy to share.